Colorectal cancer is going to become the second largest cancer caused death in the U.S. at 50,000 deaths. However, a new study has revealed that sticking to a vegetable diet can significantly reduce the risk of developing colorectal cancer. The participants of the study who stuck to a purely vegetarian diet had a 22% lower risk of colorectal cancer and also included a 19% reduced risk of colon cancer and a 29% reduced risk of rectal cancer. Study co-author Dr. Michael J. Orlich, of Lorna Linda University, CA, and colleagues published their findings in JAMA Internal Medicine. The term colorectal cancer is somewhat misleading and is a collective term which is used for both cases of colon or rectal cancer. As per the figures released by American Cancer Society, any individual will have a 1 in 20 chance of developing colorectal cancer at some point of their life span. The death rate from colorectal cancer remains very high; it has significantly fallen over the past 20 years. The lowering of the colorectal cancer deaths is primarily due to better screening techniques and early detection of the disease which significantly improves the prognosis of the disease. Colorectal cancer treatment has considerably improved in the recent years and the result is there are more than 1 million colorectal survivors in the US. Screening and treatment will remain the backbone of the fight against colorectal or any form of cancer. Dr. Orlich and colleagues feel that pin pointing the risk factors is important for the primary prevention of cancer. Numerous studies have revealed that a diet which is predominantly composed of red and processed meats can raise the risk of colorectal cancer. 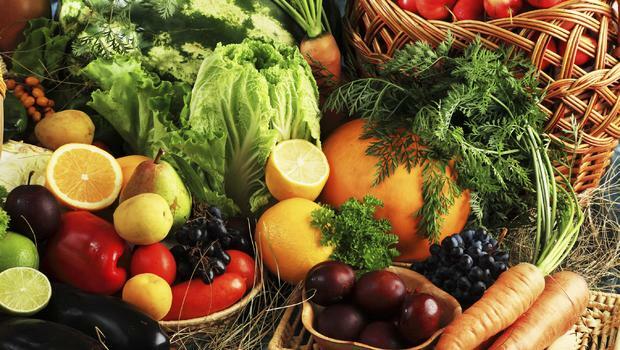 In the same way a diet which includes a lot of fruits, vegetables and whole grains has been associated with a reduced risk of colorectal cancer. The studies analyzed 77,659 men and women and they were part of the Adventist Health Study 2 (AHS-1) between 2002 and 2007.The participants were asked to complete a food frequency questionnaire as well as a medical questionnaire at study baseline. Tracking of cancer incidence among participants was evaluated until 2014 via computer-assisted record linkage with state cancer registries, as well as a follow-up medical questionnaire. The study revealed that on an average of 7.3-year follow-up, 490 participants were diagnosed with colorectal cancer, of which 380 cases were colon cancer and 110 were rectal cancer. The results revealed that persons who ate a vegetarian diet were at a 22% lower risk of colorectal cancer while there is a 19% reduced risk of colon cancer and a 29% reduced risk of rectal cancer when compared with persons who followed a non- veg diet. Semi-vegetarians were 8% less likely to develop the disease. The study results were consistent with previous studies done on consumption of red and processed meats with increased risk of colorectal cancer.